Hiram Grange doesn’t believe in fate. He makes his own destiny. That’s a good thing, because Queen Mab of Faerie has foreseen the destruction of the world, and as usual… it’s all Hiram’s fault. He must choose: kill an innocent girl and save the universe… or rescue her and watch all else burn. Just another day on the job for Hiram Grange. 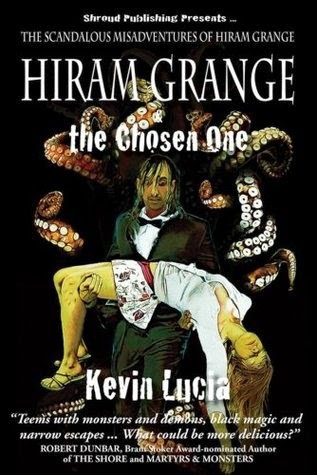 In Book Four of the Scandalous Misadventures of Hiram Grange, author Kevin Lucia, takes his readers on a wild chase through Belfast's darker boroughs as Hiram Grange faces his toughest--and perhaps most unusual--assignment yet. This has been my favorite of the Hiram Grange Misadventures. The story is more lucid than previous installments, mostly because Hiram's drug use falls by the wayside, becoming background information that occasionally pops up to tempt and lure or guilt Hiram into action. I appreciate having more story-plot introducing havoc instead of drug-induced craziness. I hope this is a continuing trend of character growth for Hiram. I loved how Lucia used old myths, working together several from different cultures to emphasize their similarities. He also gives us Lovecraftian Fairies, providing a twist on fairy mythology that I haven't seen a million times before. No romanticized fairies to fall in love with in this book - these Fay-Folk are as dangerous as the old myths claim they are!